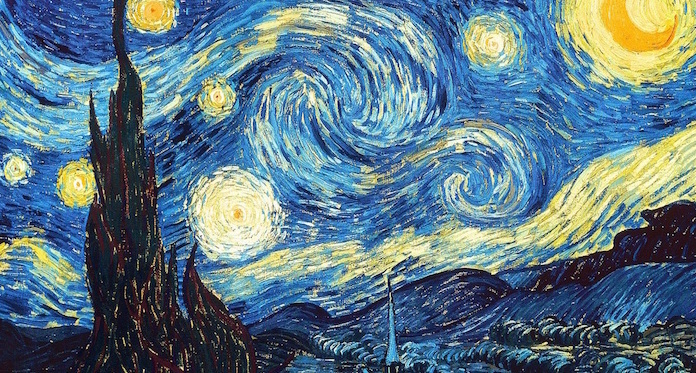 The Starry Night painted in 1889 by Vincent van Gogh is a classic example of how a dark night sky inspires creativity. Until recently, for all of human history, our ancestors experienced a sky brimming with stars – a night sky that inspired science, religion, philosophy, literature and art. Unfortunately, we’ll never know the great art we’ve lost to light pollution. Enjoy these beautiful pieces of art inspired by starry night skies and learn how you can help inspire future generation to invent, create and dream. 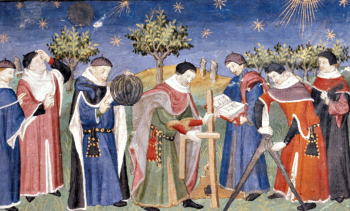 As Europe emerged from the “dark ages” and the Renaissance sparked innovation in science, technology, literature and art, educated men began to look at the night sky through less fearful eyes. During this period, Western civilization advanced significantly in its understanding of the natural world. The Renaissance night sky was clear and free of the later influence of electric light, still centuries in the future. Can the bright night skies of today’s cities possibly inspire people to ask the big questions posed by the likes of Copernicus, Kepler, Galileo and Newton? In the two centuries after the Renaissance, an Age of Enlightenment began in Europe. Led by intellectuals and emphasizing reason and individualism rather than tradition, the Enlightenment saw the influence of science and exploration grow by leaps and bounds. The night sky continued to inspire awe, but brought a healthy dose of inquiry and skepticism. 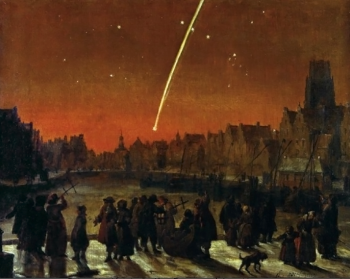 Here, the Dutch painter Verschuier depicts a crowd in Rotterdam gazing at Comet Kirch, a very bright comet that appeared near the Sun in December of 1680. They wonder at the sky, but they do not evidently fear it. A similar view of Rotterdam today might also show an orange sky on account of skyglow from light pollution. Would residents of modern Rotterdam still turn out for a view like this? 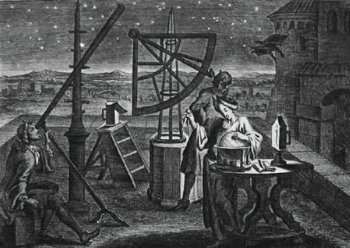 Beginning in the 17th century, astronomers turned telescopes on the pristine night skies over Europe for the first time, making observations of previously unseen celestial phenomena. Their work literally moved heaven and Earth, putting to rest old ideas that held Earth at the center of an unchanging universe above. Unhindered by light pollution, scientists of the day could easily conduct astronomical research from the largest population centers in Europe. Modern astronomers now have to travel far from civilization – including space – to gain access to the same night skies. 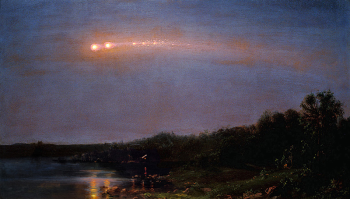 The phenomena of the night sky remained an occasional subject of artists well into the 19th century, on some occasions inspired by actual historic events. On the evening of July 20, 1860, a meteor fragmented as it grazed the Earth’s atmosphere, producing a “meteor procession” that inspired this painting and the poem, “Years of Meteors (1859-60),” by the great American poet Walt Whitman. Whitman made his observation of the meteor of 1860 in or near New York City. Now only the brightest night sky phenomena are visible under NYC’s light-polluted skies. In the glow of its canyons of concrete, steel and glass, would residents of today’s New York even bother to look up at another bright meteor? The night sky was a favorite subject for Vincent van Gogh, perhaps the most well known of the Impressionists of the late 19th century. 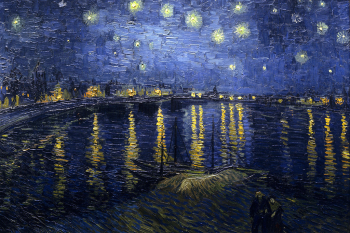 His venerated The Starry Night (1889) is still so common in pop culture that it overshadows other, equally beautiful van Gogh works that feature the night sky such as Starry Night Over the Rhone, shown here. 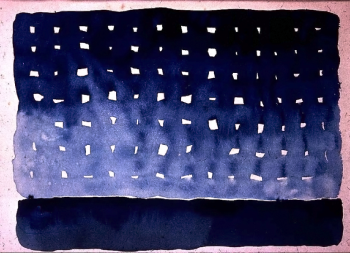 His paintings of nightscapes emphasize his impressions of the colors of the night sky and of the artificial outdoor lighting that was new to his times. What palette of colors would van Gogh choose to represent the present-day light-polluted sky over the Rhone? As the 19th century drew to a close, increasing numbers of fine artists rejected the realism of the Renaissance and Enlightenment in favor of more expressive styles. Color, tone and mood were valued over literal depictions of real (or imagined) people and places. 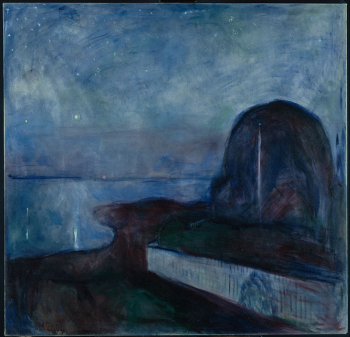 In Starry Night, Edvard Munch, known for his angst-ridden classic The Scream (1893), disregards the more picturesque qualities of the night in favor of the emotions that night made him feel. Compare Munch’s Starry Night to van Gogh’s nighttime view of the River Rhone (above), painted barely five years earlier. Munch cherished darkness, while van Gogh sought out the reflections of early artificial city lights. Where might Munch now have to travel to paint dark skies? The American West has inspired generations of artists with its wild and undeveloped characteristics. Georgia O’Keefe was enchanted by the lure of the West. While more famous for her New Mexico landscapes, O’Keefe’s early works included attempts to capture the space and grandeur of the West’s crystal-clear, dark night skies. O’Keefe didn’t find these stars in New York City. She had to seek them out closer to nature itself in the West. The experience of standing beneath a night sky unmarred by the glow of artificial light was once commonplace. Young and old, rich and poor alike, in all corners of the world shared the wonder and awe of the night sky. But the future of night is now threatened. As we lose more of our shared experience to the march of progress, how will future artists, inventors and creators be inspired by the night? You Can Help Inspire Future Generations! Installing lighting only when and where it’s needed. Making sure your lighting is shielded so lights shine down, not up. Using energy saving features like timers, dimmers and motion detectors. Educating your friends and neighbors about the importance of good lighting for our health, economy and environment. Joining the International Dark-Sky Association in our fight against light pollution by becoming a member.